The 15th Kaleidoscope Palliative Care Conference hosted by St. Francis Hospice Dublin will take place from 30-31 May 2017 at Dublin Castle. Visual artist Marie Brett will present two film works at the conference: Anima, a documentary by Colm Mullen exploring death and care based on Marie’s research project Whispers? 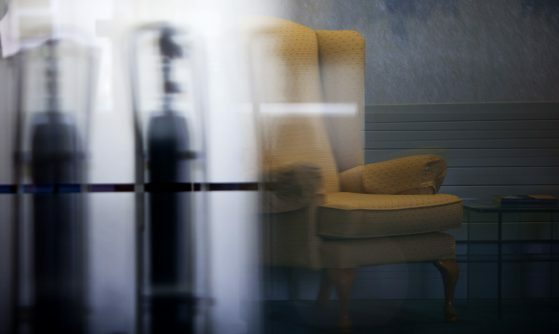 in partnership with St. Francis Hospice; and Essential Pause?, a filmic artwork by Marie exploring ideas of death, liminality, care and ritual. Beginning in 2016 Marie Brett, as part of her research project Whispers?, interviewed a number of scholars and healthcare professionals who work closely with people who are close to death. The conversations spanned medical, philosophical, folkloric and legal perspectives on death and dying. Glimpses of these conversations are captured in the documentary Anima which was funded through the 2016 artsandhealth.ie documentation bursary. Anima will be screened on Day 1 of the conference, 30 May. Essential Pause? was produced by Marie following her collaboration with palliative care staff at St Francis Hospice Raheny/Blanchardstown and scholars at University College Dublin School of Social Sciences and Law and is framed within the Irish death tradition archives at The National Folklore Collection Ireland. The film questions an essence of life and death experience and is a work in progress. Essential Pause? will be screened on Day 2 of the conference, 31 May.